I’m never one to normally fly in the face of critical opinion – however, it appears that this may be twice in a row for the One News Page movie review platform where we offer something a little bit against the grain. Last week, we advised you go see Venom – and I genuinely stand by that – and this week, I’m advising you to go and see First Man with caution. That isn’t to say it’s offensive – but what you expect may not necessarily be what you get – and for that matter, I do have a few choice things to say about this long-awaited biopic. Damien Chazelle reunites with Ryan Gosling, both having worked together on the critical darling La La Land (which received a 4.5 star review from One News Page), to offer up an intense biopic surrounding the career of Neil Armstrong – perhaps the most famous astronaut to have ever taken to the sky. Armstrong was, of course, the first man on the moon – and First Man, aptly titled, follows his journey as a family man to a promising astronaut and engineer – a quiet man, one who cared deeply for his work, and one who was exceptionally talented. The movie focuses a little more on his journey as a person as opposed to the act of landing on the moon itself, though the film does make the point of keeping things as accurate as it possibly can. Accuracy, therefore, is the first issue I’d like to address, before I go any deeper into this review. Armstrong was, by all accounts, a fairly complicated man. He shunned the fame that came with the territory of landing on the moon, and as such, Gosling was tasked to portray a complex character who was extraordinarily gifted. There are conflicting reports and concerns over the accuracy over some of the moments depicted in the film, and having discussed the movie with a number of sources invested in Armstrong and space travel, it seems that there are a number of writing and directorial choices that could have been tweaked for greater accuracy. While I don’t personally have the insight into Armstrong that many people have, I feel I ought to mention the film’s veracity as early as possible. 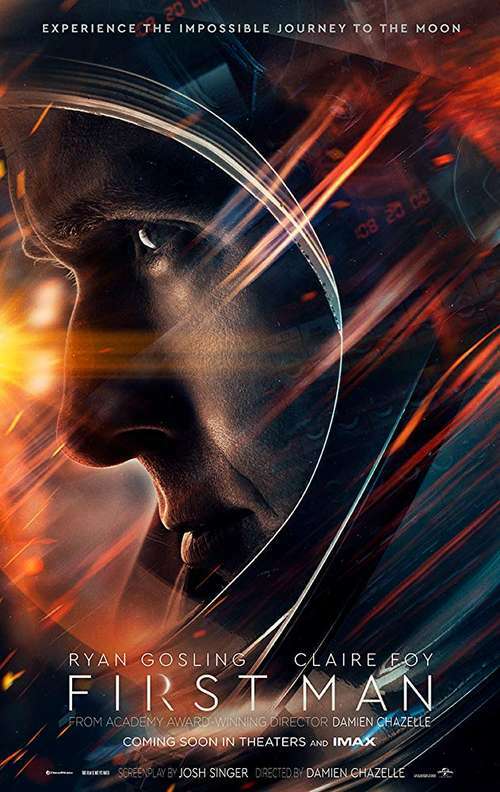 Onto the nitty gritty – directorially and from a cinematic point of view, First Man is well-shot, well-lit and does plenty to get you into the atmosphere of the time and into some truly tense situations. 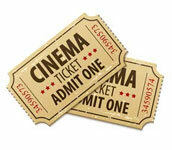 It does a fair amount to duck away from that ‘blockbuster’ feel, instead choosing to go for a more organic, ‘real’ approach. This, generally, is to its credit. At its most intense, the movie is interesting enough – and some of the more dramatic moments at flight are depicted with rough and tumble thanks to the steady rattle of a glorified shaky-cam. Where First Man falls down for me most of all, however, is the pacing, and the overall vision. There are long, drawn out sequences in the movie which simply don’t inspire – even those which are meant to be tense and exciting, such as Apollo 11 approaching the moon – and while the craft’s arrival there is breath-taking and serene, the build-up becomes almost comically monotonous. I’m surprised to see few critics agreeing on this part – there are some stretches of this movie which are simply, and sadly, tiresome. Chazelle is a talented director, but this is by no means his finest hour. It should also be said that, if you are looking for a companion piece to Apollo 13, or a biopic that delves deep into the Apollo moon mission and everyone involved, you may leave disappointed. This is a movie which is intensively focused on Armstrong, taking long stretches of time to delve deep into his psyche, pausing on his expressions when things go wrong, and seemingly muddling through when actual events appear to be picking up again. It’s a very uneven watch, and to this extent, I’m not entirely sure whether it was a drag or a muddle. It’s disappointingly somewhere in the middle. I’d also like to note that the movie goes out with an absolute whimper – perhaps the director decided that was all that needed to be told – but do set your expectations accordingly. First Man is clearly an ambitious project that takes on plenty of great-looking set pieces and cinematic techniques, but which stumbles around when it comes to the tale being told, and the execution. Should I have been so bored watching a movie about Neil Armstrong? I’d have hoped not. In any case, I have to score the film highly for its technique – for the most part – but this is not a movie I’d be interested in seeing twice. Just writing about it, I’m sad to say, has brought up a yawn.